TSP1 Universal Racing Guide Flag Set [TSP1] - $3.99 : TSR Slot Cars, TSR Slot Cars - Dedicated to Slot Car racing, collecting, restoration, track design, electronics and software. High Performance guide flag for FLY, Scalextric, Ninco, SCX, Carrera etc. Will also work on many vintage slot cars in both 1/24 and 1/32 scale. 1/8' post can be sleeved to 3/16" by the addition of pieces of telescopic brass or aluminum tuning from K&S. 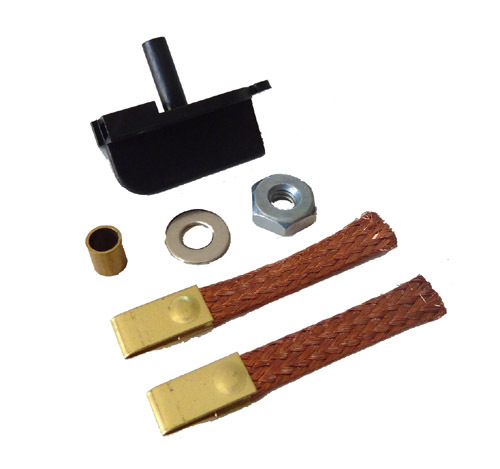 We recommend the use of guide clips to solder on lead wires. The central post allows for fitment in shorter cars.